Here at Carriage Kia of Woodstock, we want to say thank you to our loyal customers by offering great Kia incentives and new vehicle specials. Our mission is to bring you amazing offers on select new Kia models like the Kia Optima, Soul, Sorento, Forte, and more. Here, you will find local Kia incentives that will get you ready to drive away in a brand-new Kia! Simply click on the banner that you want to take advantage of and it will take you directly to the inventory where you can find the perfect Kia to match up with your preferred new vehicle special. You will also find our new car specials inventory where you can find even more brand-new Kias being offered at amazing prices! We update these specials frequently, so be sure to come back and see what specials we will be offering next month on our favorite Kia cars, vans, and SUVs. Please contact us if you have any questions or if you would like to speak with one of our sales team members about buying or leasing a new car today. 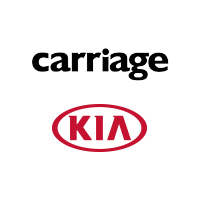 Only at Carriage Kia of Woodstock will you experience the Carriage Difference when shopping for your next new car!